The template that I use on this blog is called Alinux AMP, where there are some visitors who are "aware" that the URL for my AMP page is valid using the parameter 'amp = 1, isn't it? M = 1 . Then there are some blogger friends who send messages via Facebook, asking how to change the URL parameters for the Blogger AMP page to be ?amp=1. I try to explain in this article. I have tried changing it using conditional data 'data:blog.url + &quot;?amp=1&quot'but it seems to be ineffective and encounters some errors. Until finally I found out a more effective way. I got this method from one of my blogger acquaintances. Can apply AdSense Anchor Ad on the mobile page by using AdSense Auto Ads. AMP pages (amp = 1) will only be accessed if visitors come from AMP viewer such as Google or Twitter. 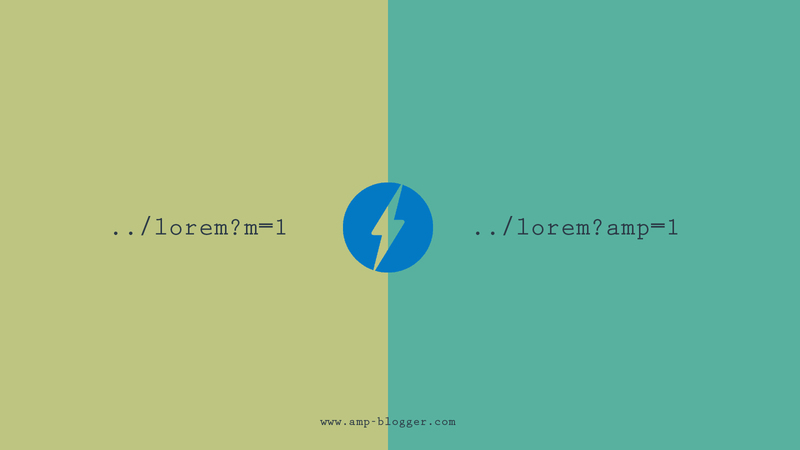 Pay attention to the yellow code, it is the use Blogger Operator URL to make the new parameter to be amp=1. Next, we will set the canonical for the main page and the special page for AMP HTML. Up here, the actual process is complete. But if you previously used the parameter m=1 for special pages of AMP HTML, you must follow the steps below because usually there will be a slight error. That's the article about the trick for Changing Blogger AMP Parameters from m=1 to amp=1. You still have to achieve the performance of your special AMP page in the Search Console.